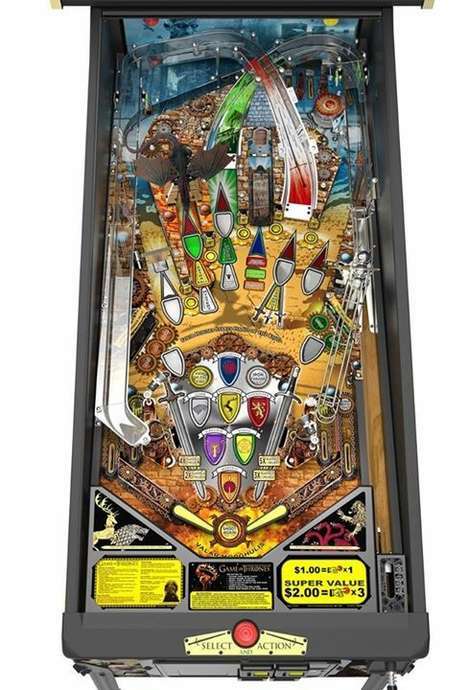 •	The animated mechanical Sword of Multiball holds back reinforcements until it’s time to attack. 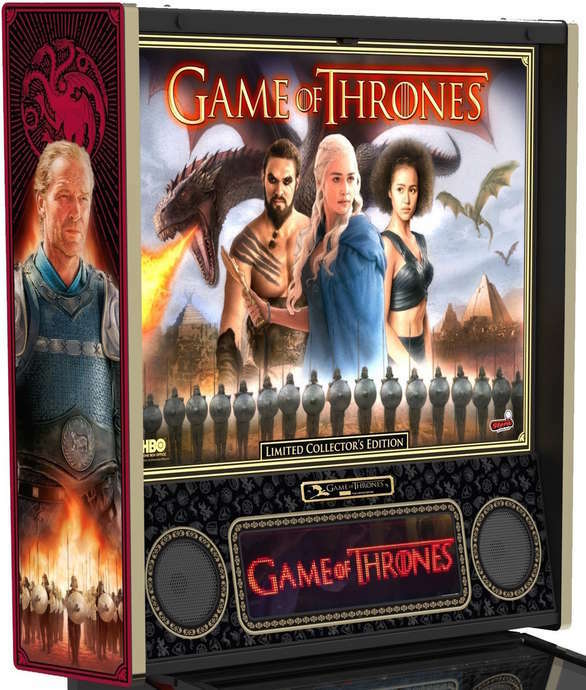 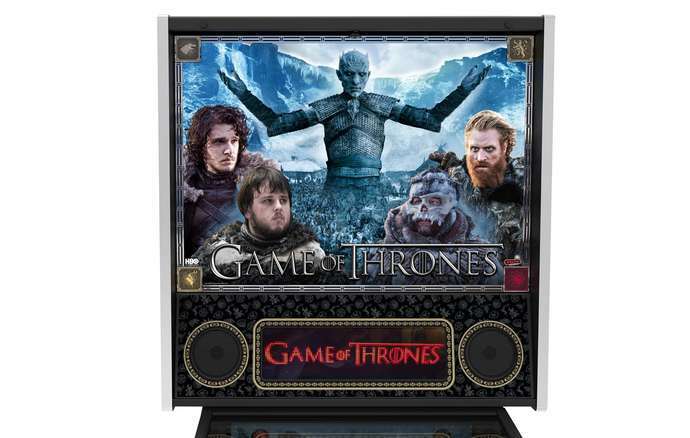 •	Players can win valuable random awards and features with Reel PopsTM, a fun new software mechanism by playing the Pop Bumpers and spinning 3 virtual spinning reels on the display When three identical symbols line up, the player is awarded the prize shown on the reels. 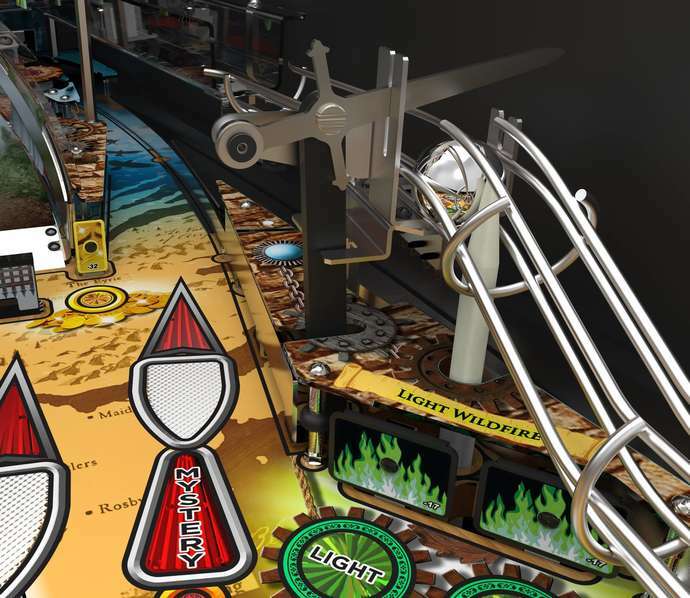 Earn Gold and spend it on needed weapons and features. 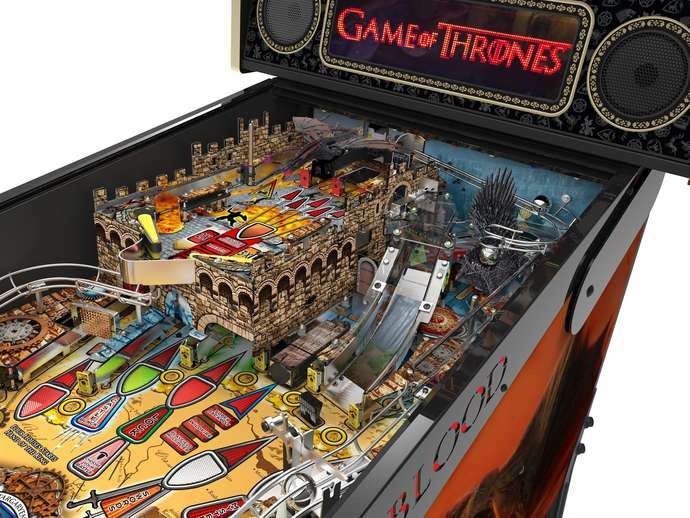 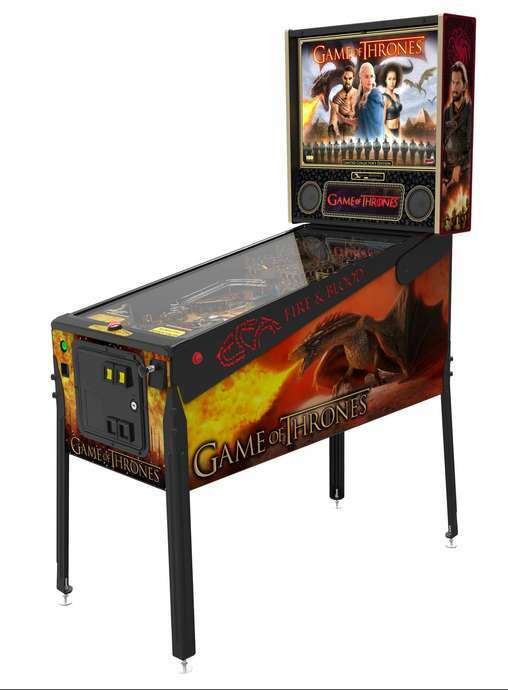 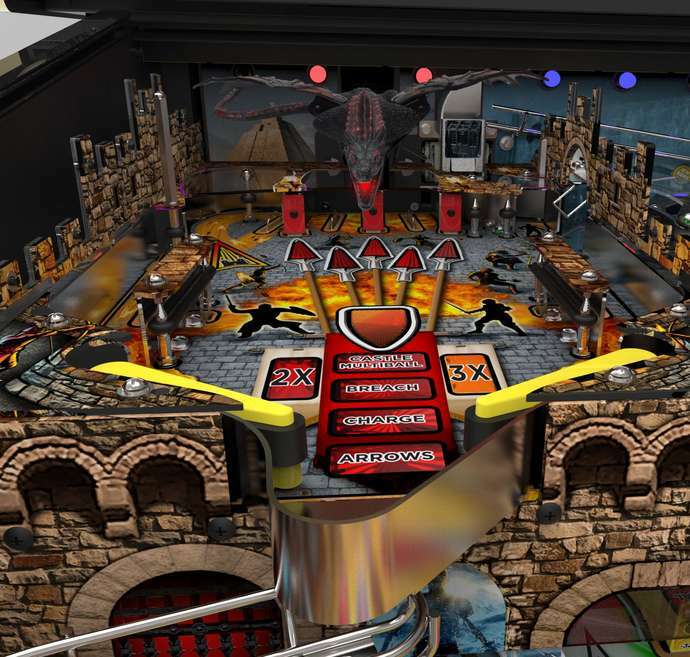 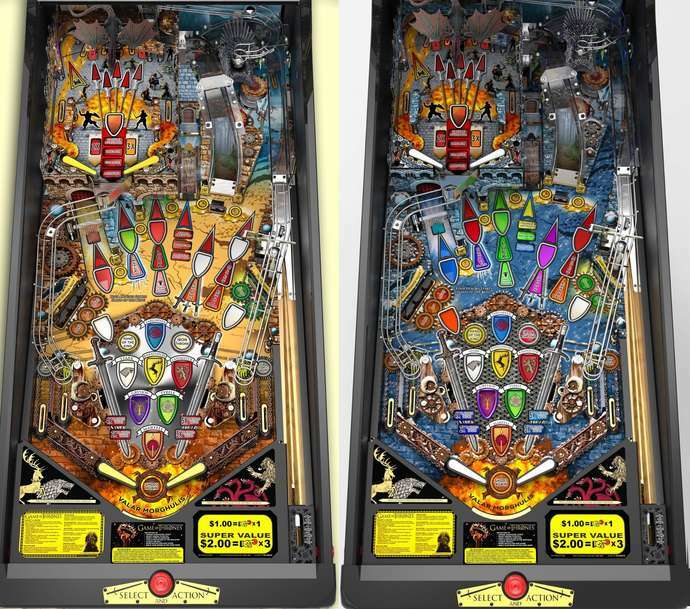 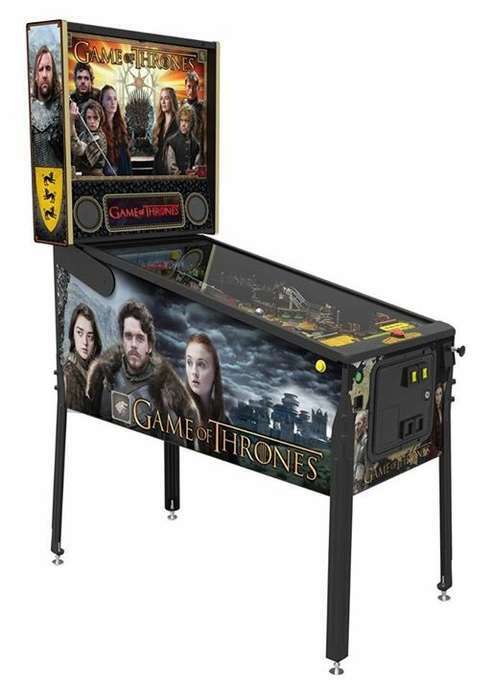 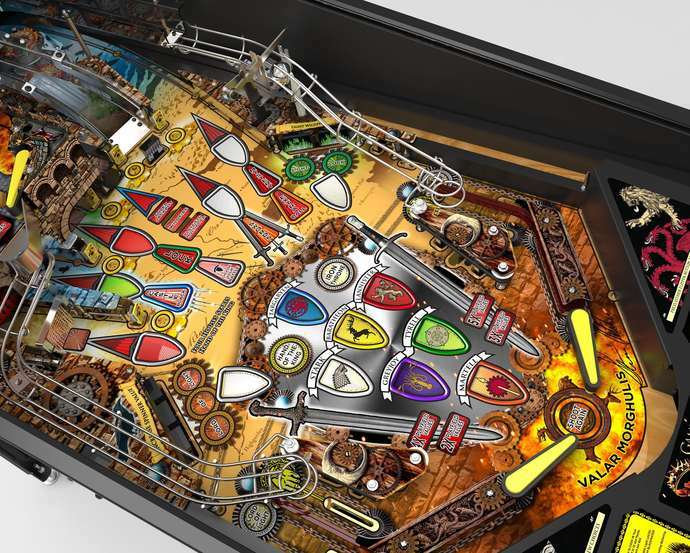 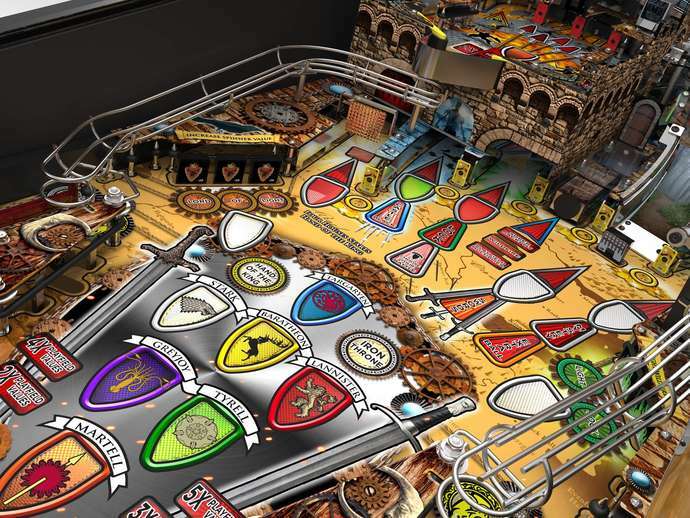 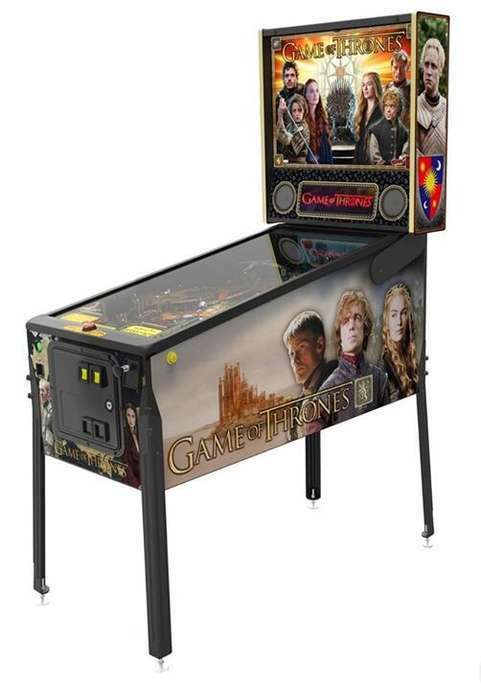 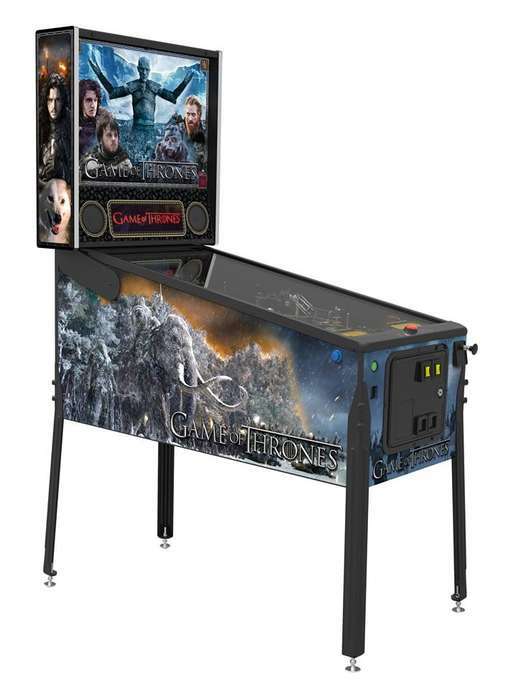 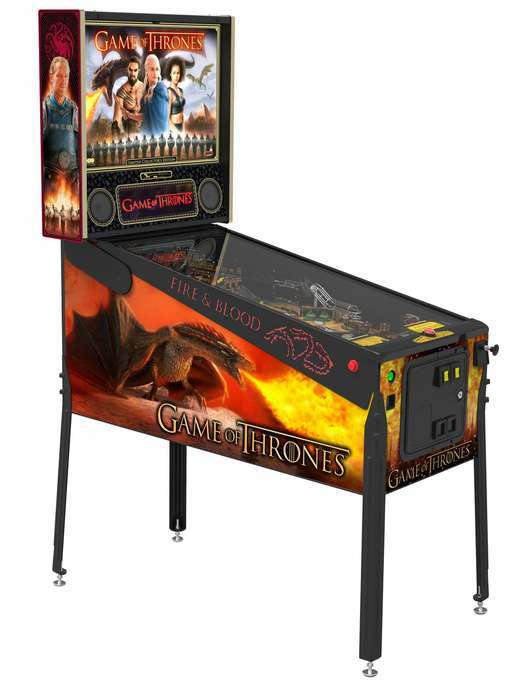 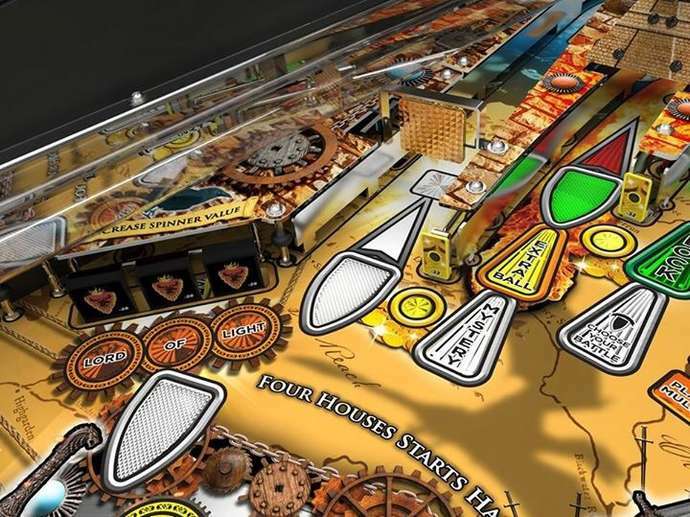 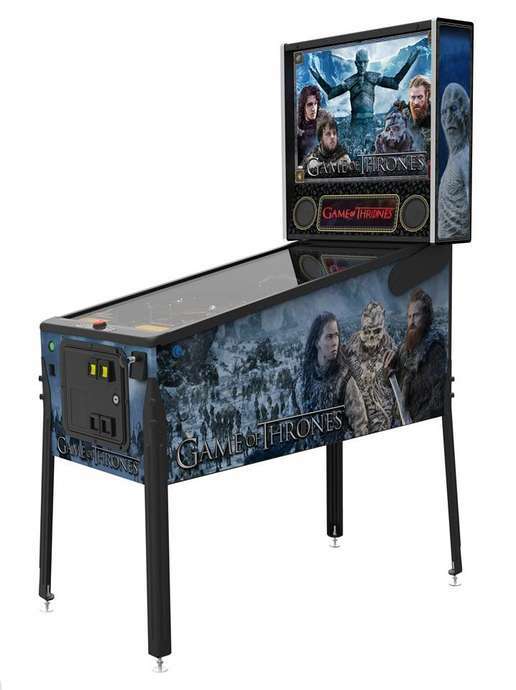 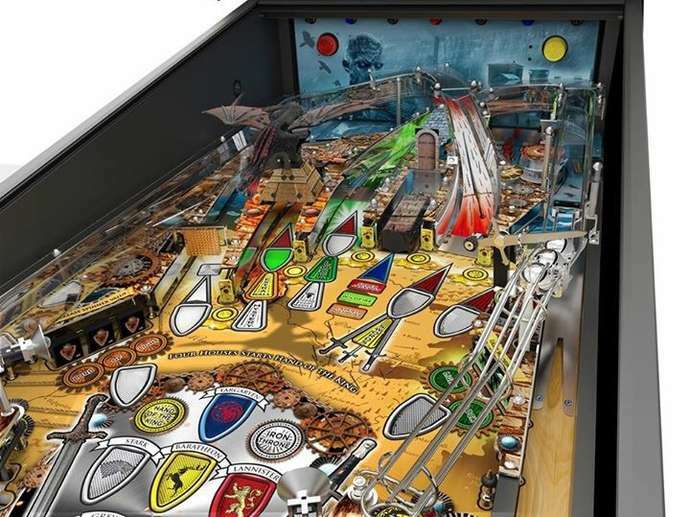 •	Designer-signed playfield featuring Hall-of-Fame pinball designer Steve Ritchie signature"